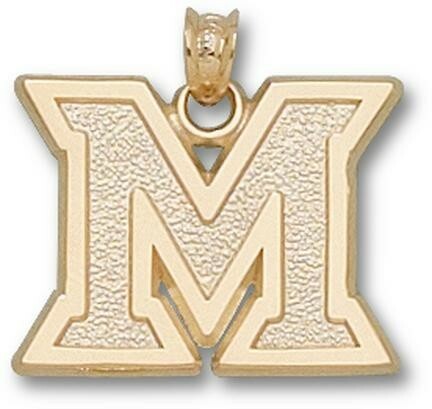 Enjoy this official NCAA licensed Miami (Ohio) RedHawks pendant. A great gift for any Miami (Ohio) RedHawks fan! You often see shirts, caps and jackets that feature logos from your favorite collegiate and professional sports teams. Now you can add high quality jewelry products to the list! You will love the exciting collections available for each school and team! There are more than 300 universities and sports teams to choose from so you can build a collection that is perfect for you. 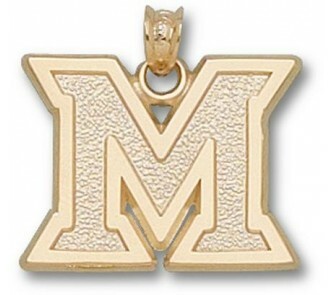 Logo Art manufactures the broadest and most elegant collection of collegiate and sports licensed jewelry products ever. Most products are available in 14k gold and sterling silver. To see a list of all necklaces available, click here. To order separator beads, click here. The majority of the pendants and charms can also be made into rings, earrings, tie tacks, cuff links and key rings. Please contact Online Sports at 1-800-856-2638 for availability and pricing. Following is an example of what you can do with pendants, charms, and separator beads to make a very unique gift or team spirit item.